Come inside. 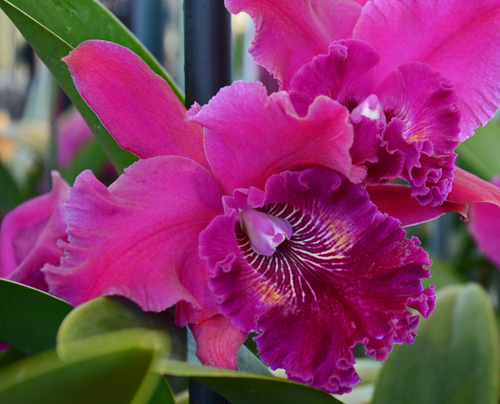 Welcome to ORCHIDdaze: Surreal Beauty! 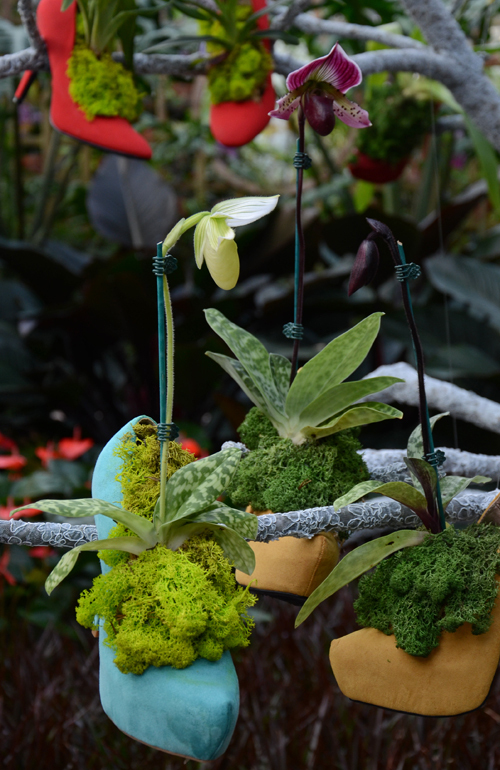 In the Conservatory Lobby, Orchid Atrium and Orchid Display House we have created three surrealist-inspired orchid landscapes to provoke and stretch your imagination. On February 9, Opening Day, we threw open the doors. Here's what happened. 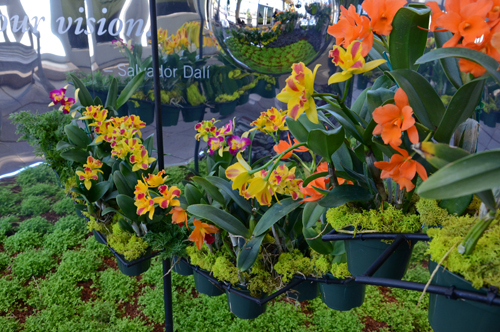 In the Conservatory Lobby orchids wearing hot colors stretched and preened in front of huge distorting mirrors. 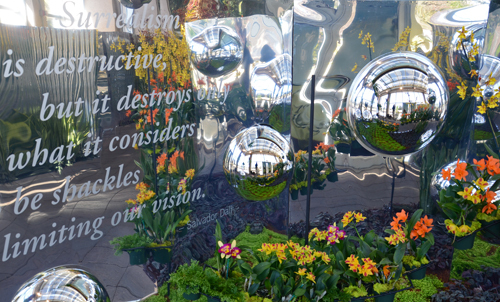 The fluid images created by the mirrors looked like part of a Dali landscape. The fun house mirrors were a huge hit, especially with kids who squealed when they saw their elongated reflections or danced in front of the mirrors; and with photographers looking for bizarre effects. 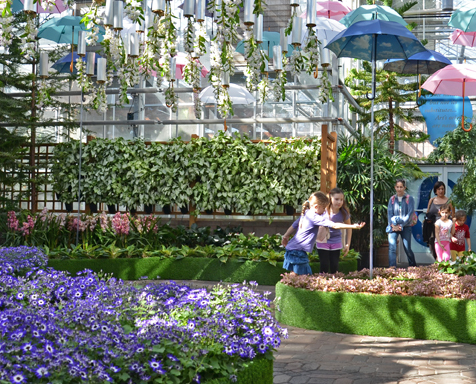 Visitors entering the Orchid Atrium paused, trying to make sense of what they were seeing: a rainfall of upside down orchids and water falling from umbrellas. 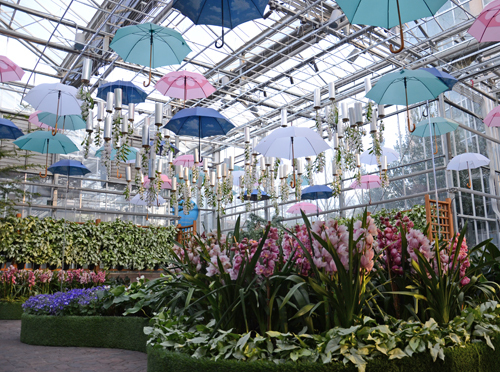 My favorite moment from the Opening of ORCHIDdaze: Surreal Beauty came when a man rushed in from the Orchid Atrium laughing, and said, "holy cow, it's crazy in there!" Kids loved the raining umbrellas. 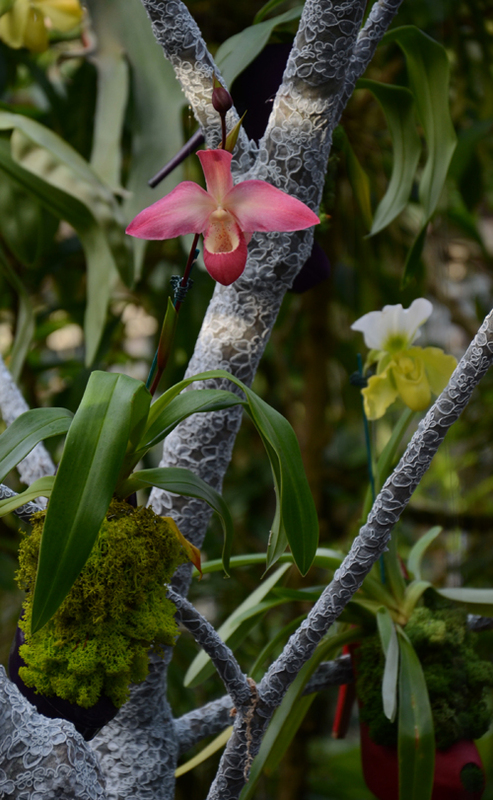 My other favorite comment came from a man in the Orchid Display House who stated emphatically that he did not like the slipper orchids in shoes. "It's just too weird. It's unsettling." That made me smile. It was exactly the sort of reaction the Surrealists were trying to provoke. But more typically, the shoes hanging from trees like overripe fruits bursting with slipper orchids, were greeted ecstatically. More squeals and omg's. Lots of Instagrams sent. Many viewers, especially women, seemed to want to take the entire display home with them. 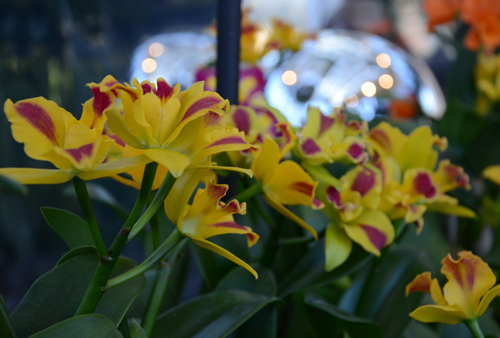 Come see ORCHIDdaze: Surreal Beauty! The Garden is open from 9 am to 5 pm. 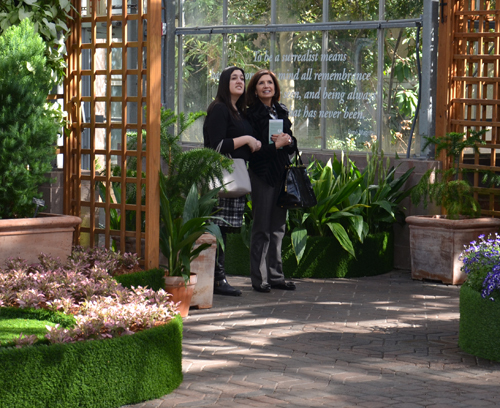 The Garden will be open Monday February 18. 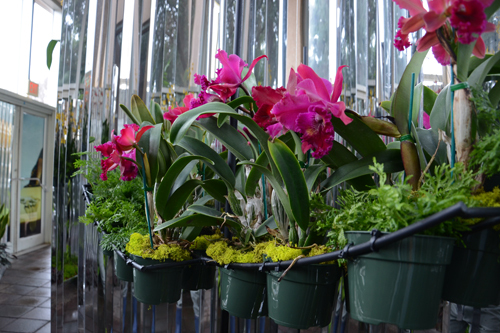 Here is more information about our orchid shoes and shoe planters; and more about creating the Atrium landscape. The exhibition is brilliant and beautiful! I'd be hard pressed to select a favorite aspect. Great job!